Today, the Hypergrid Adventurers Club took a trip from jokaydiaGRID to the OSGrid home of Linda Kelllie, a talented content creator who gives away a wide range of excellent items (including OAR files of entire regions) on her website LindaKellie.com. Read on for a summary, some pics, and instructions on how you can make the journey yourself. Our starting point was the region Scooter on jokaydiaGRID, and a total of 10 avatars made the journey together. Since the region Scooter on jokaydiaGrid and the region My Place on OSGrid are very far away from each other on the Hypergrid (about 9,000 regions apart), we had to make 3 hypergrid jumps. Our group gathers on jokaydiaGRID. 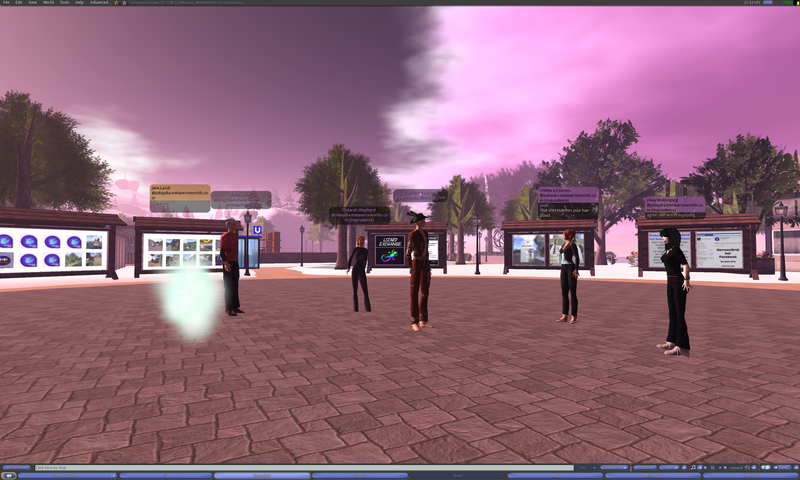 From here, we all jumped to the region jump4000 on OSGrid. A very cool space-age waypoint. For our next jump, we all hopped to the region GermanGrid Gate on GermanGrid. 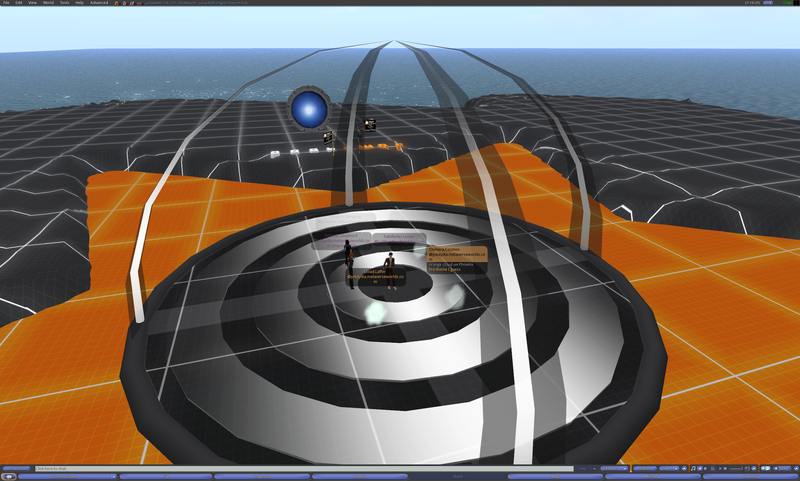 And finally, a jump to the region My Place on OSGrid. 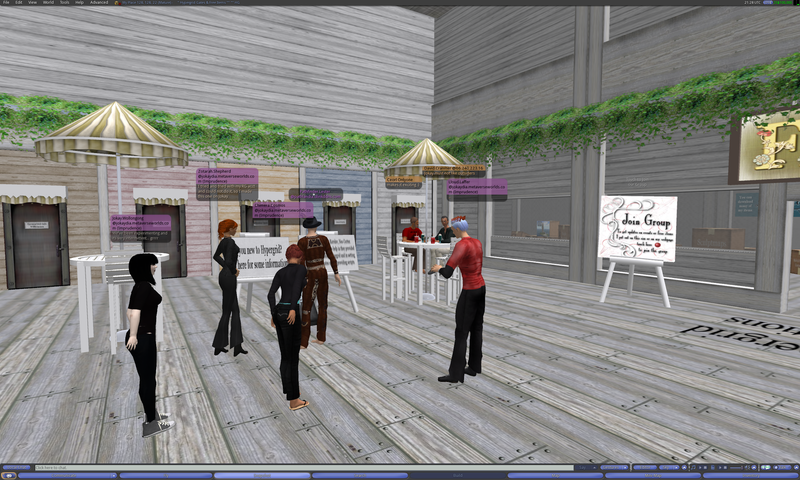 We arrive at Linda Kellie's home on OSGrid. After we arrived, Linda Kellie met us and welcomed our group. Thank you again, Linda, for contributing so many free items to the community. You work is inspiring. 1) Open your World Map in your viewer. 3) Click the Search button and wait for the map to move to the destination region. 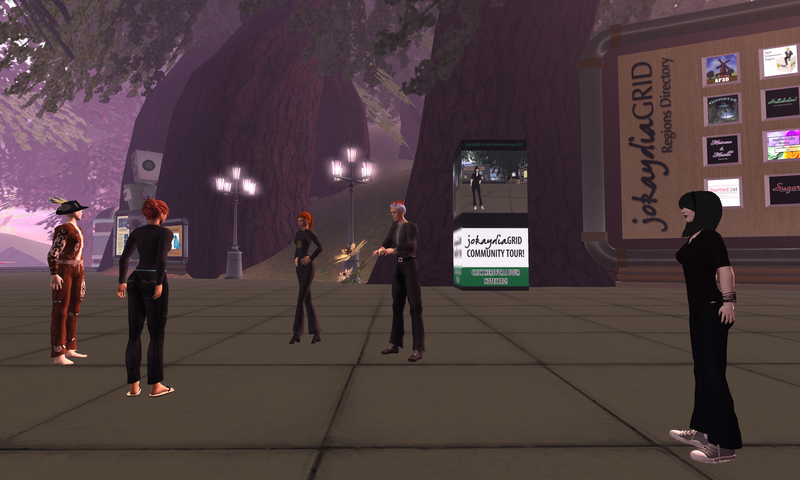 And please join us at an upcoming meeting if you’d like to explore the hypergrid with a group of friendly folks. 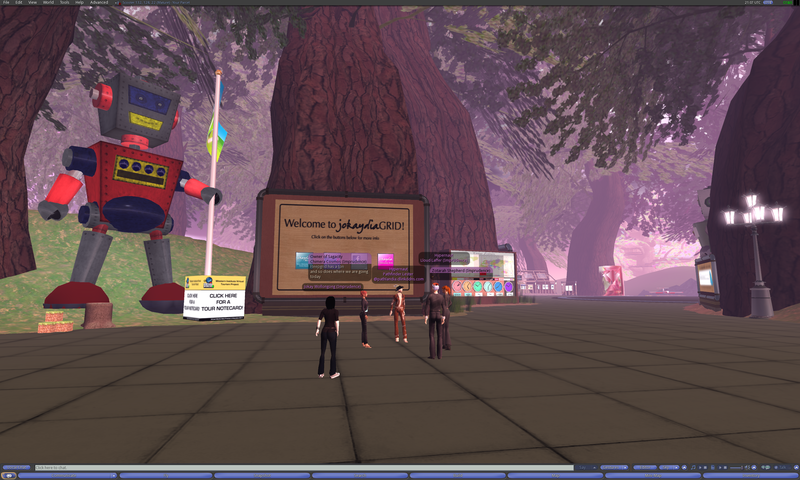 All the information you need (including our schedule) is on the Hypergrid Adventurers Club Homepage. This entry was posted in Announcements, Avatars, Education, Hypergrid Adventurers Club, Virtual Worlds and tagged avatars, education, HyperGate, HyperGrid, Hypergrid Adventurers Club, jokaydiagrid, metaverse, online communities, OpenSim, opensimulator, osgrid, ReactionGrid, virtual worlds by John "Pathfinder" Lester. Bookmark the permalink. The reverse trip is still impossible. The jump4000 to scooter still generates an unable to verify identity error. I hope to visit sometime.